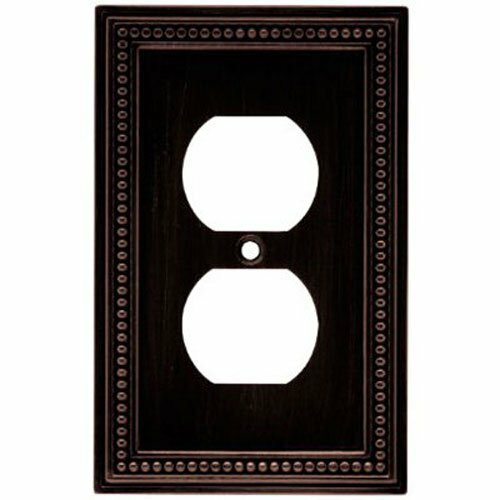 Trade Master jumbo wall plate with one Duplex opening, one gang, Brown. Molded of rugged, practically indestructible self extinguishing nylon. Preferred for hospital, industrial, institutional and other high use applications. 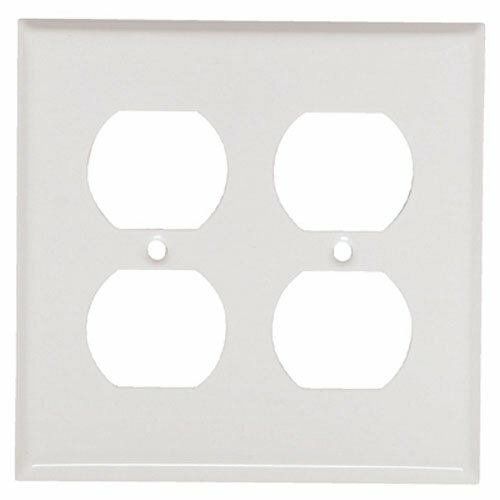 Trade Master Nylon Wall Plate with Four Decorator Openings, Four Gang, White. Molded of rugged, practically indestructible self-extinguishing nylon. Extra 3/16" width and height larger than standard size plates. 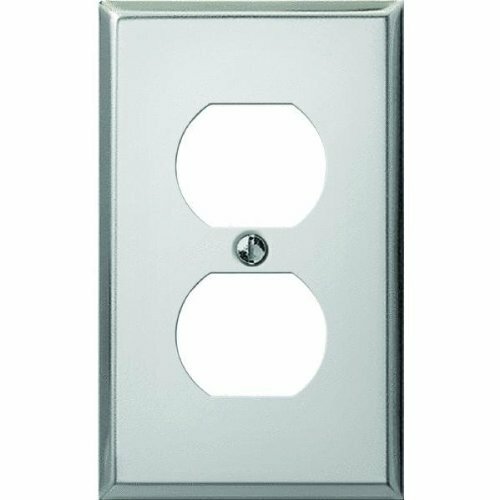 This is Classic Brite Chrome Duplex Receptacle Wall Plate Stamped Metal. 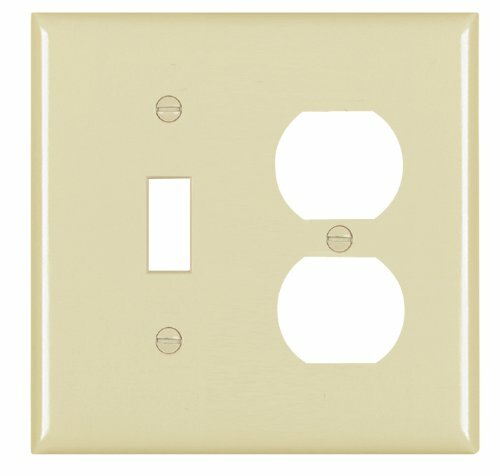 This Wall Plate is Carded. This is a Jackson Deerfield Product. 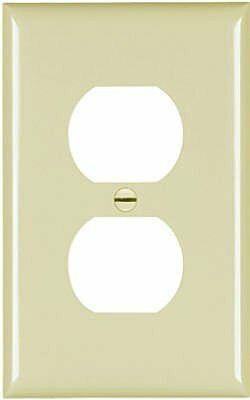 Trade Master Nylon Combination Openings Wall Plate with One Toggle Switch and One Duplex Receptacle Opening, Two Gang, Ivory. Molded of rugged, practically indestructible self-extinguishing nylon. 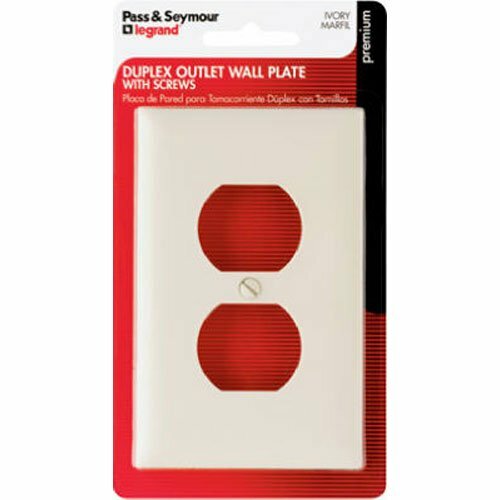 Extra 3/16" width and height larger than standard size plates. 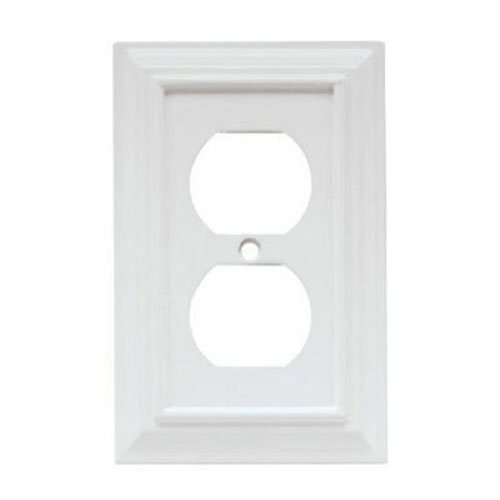 White, wood architectural, 1 gang, duplex wall plate, MDF material, installation hardware included. 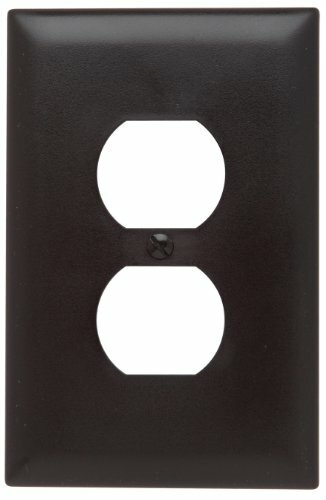 Venetian bronze, beaded, 1 gang, duplex wall plate, zinc, installation hardware included. 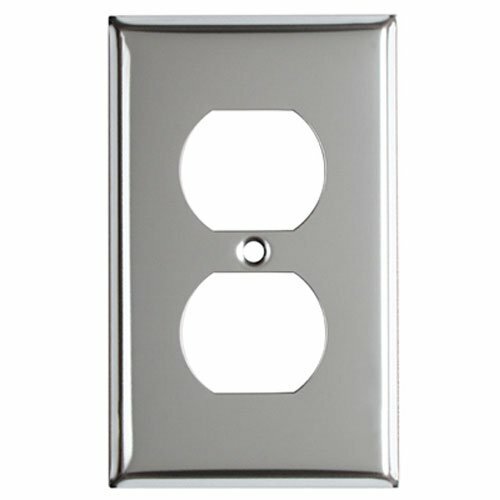 Brushed satin Pewter, beaded, 1 gang, duplex wall plate, zinc, installation hardware included. 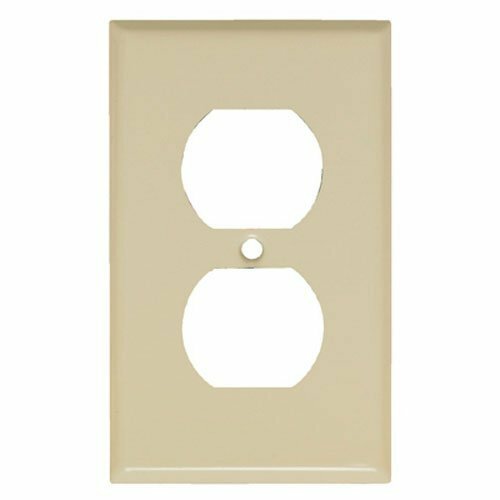 Ivory, 1 gang Duplex receptacle nylon wall plate, 3/16" taller & wider than standard size wall plate for better coverage, pre-installed mounting screws for easy installation, 2.9375" x 4.6875", Blister pack. The product is good to use. The product is highly durable. 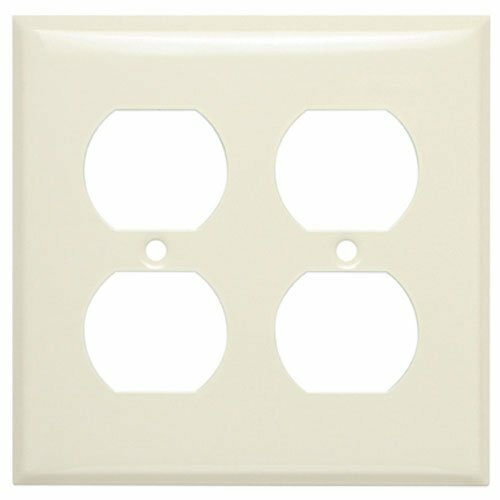 White, 1 gang, 1 duplex opening, steel wall plate, standard size, UL listed, Bulk Cello wrap. 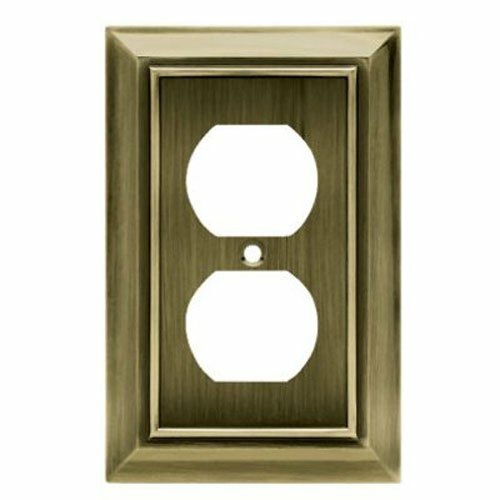 Antique brass, architectural, 1 gang, duplex wall plate, zinc, installation hardware included. 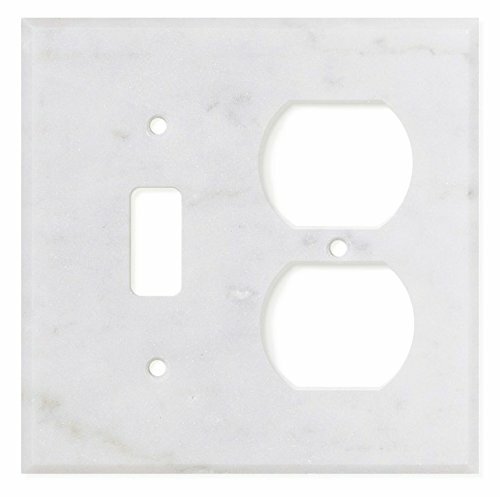 Made from 100% authentic, high-quality REAL NATURAL STONE materials, our extensive switch plate cover collection will help you bring natural elements into your home. These pieces will perfectly complement your bath and kitchen walls while allowing you to finish up your projects without any compromises. 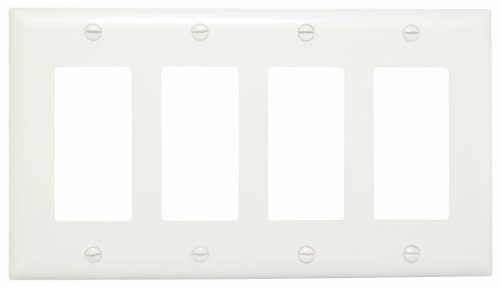 Chrome, 1 gang, 1 duplex opening, steel wall plate, standard size, UL listed, Bulk Cello wrap. 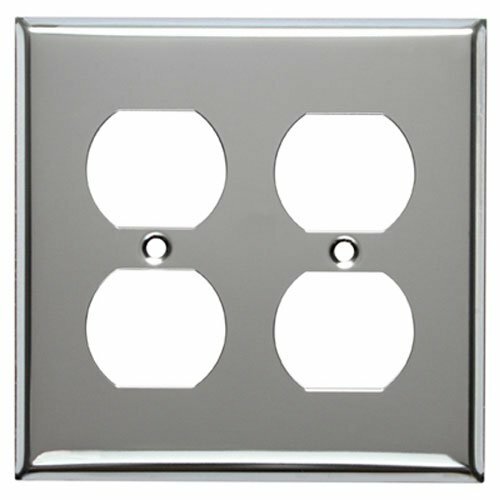 Chrome, 2 gang, 2 duplex opening, steel wall plate, standard size, UL listed, Bulk Cello wrap. 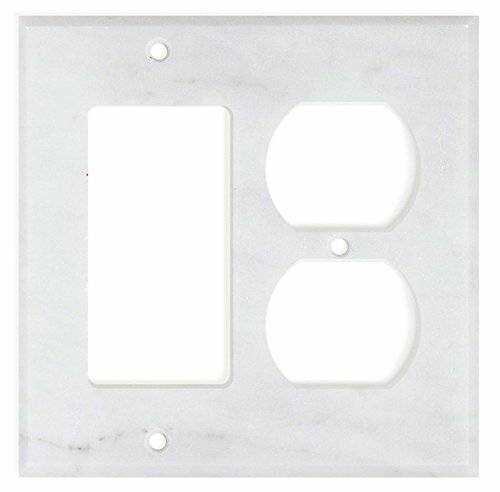 Ivory, 2 gang, 2 duplex opening, steel wall plate, standard size, UL listed, Bulk Cello wrap. 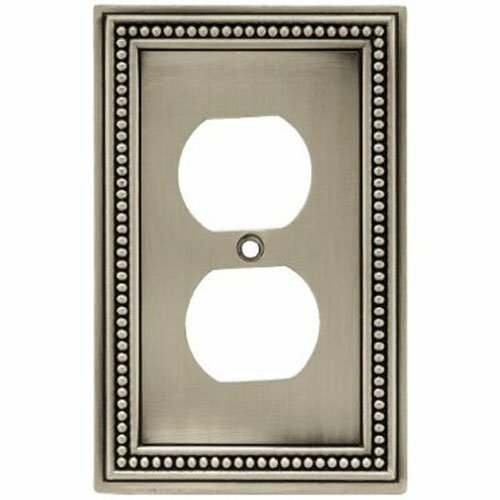 Mulberry Metals 84101 IVY 1G DPLX Wall Plate. This are highly durable. 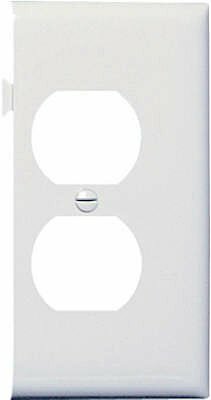 White, 2 gang, 2 duplex opening, steel wall plate, standard size, UL listed, Bulk Cello wrap. 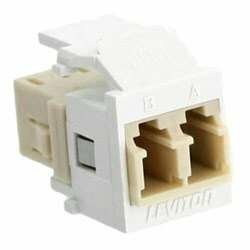 White, Duplex Outlet Opening End Section, Sectional Nylon Wall Plate, UL, Slightly Larger Than Standard Plates For Superior Coverage, Molded Of Rugged Practically Indestructible Self Extinguishing Nylon, Cello Wrap. 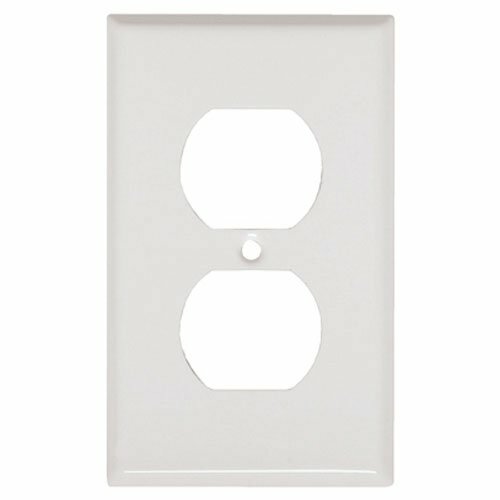 Compare prices on Dplx Wall Plate at LiveSaler.com – use promo codes and coupons for best offers and deals. We work hard to get you amazing deals and collect all avail hot offers online and represent it in one place for the customers. Now our visitors can leverage benefits of big brands and heavy discounts available for that day and for famous brands. We try to makes comparison shopping easy with Product Reviews, Merchant Ratings, Deal Alerts & Coupons. Find Deals, Compare Prices, Read Reviews & Save Money.